Poco F1 is now officially available in India, priced from INR 20,999 for the base variant and going all the way up to INR 29,999 for a limited edition variant. 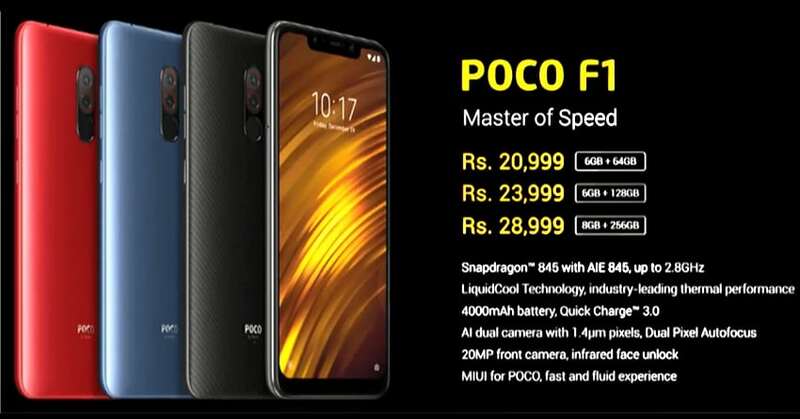 Poco F1 is available with a 6.18-inch, full HD+ display with 19:9 ratio and 2.5D curved glass. They have not mentioned any protective layer over this screen. The biggest positive point for F1 is the use of Snapdragon 845 processor with Adreno 630 GPU, already available with other flagship phones but with a considerably bigger price tag. Buyers can choose from 6GB/64GB, 6GB/128GB and 8GB/256GB storage variants. The base model is available for INR 20,999, while the other two are priced at INR 23,999 and INR 28,999 respectively. Those looking for a special edition can go for Kevlar Armoured Edition at INR 29,999. 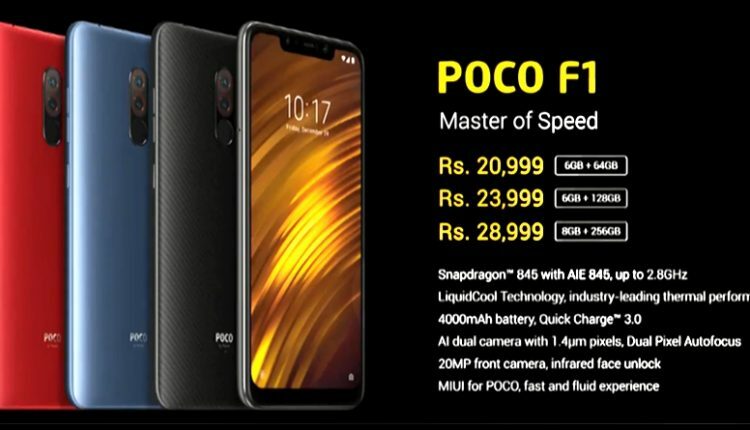 Poco F1 comes with a 12MP+5MP rear camera with dual pixel auto-focus and dual LED flash. The front camera is an LED flash assisted 20MP unit. Buyers will get face unlock and fingerprint sensor for a variety of protection techniques. The 4000 mAh battery on the phone comes with quick charge 3.0 and USB Type-C connector. 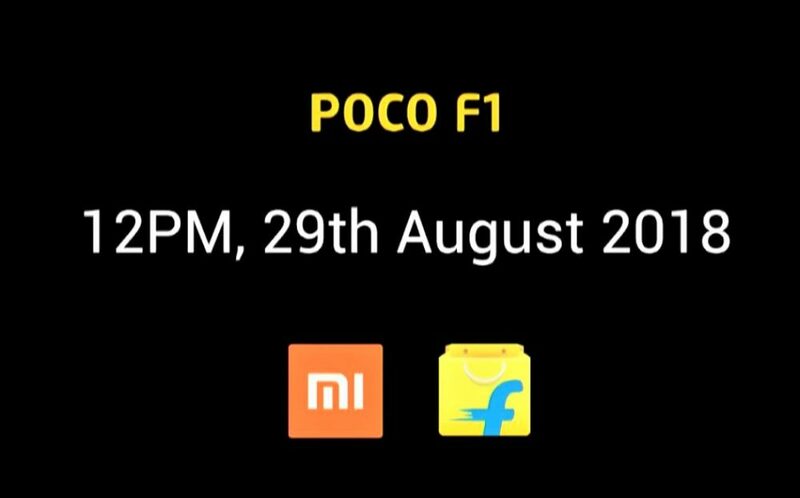 Poco F1 can be bought in Graphite Black, Steel Blue, and Rosso Red shade. HDFC credit/debit card customers can avail INR 1000 discount on any of the model during the first sale on August 29, 2018. The box contains an additional soft case for the phone with other standard accessories like a phone charger.